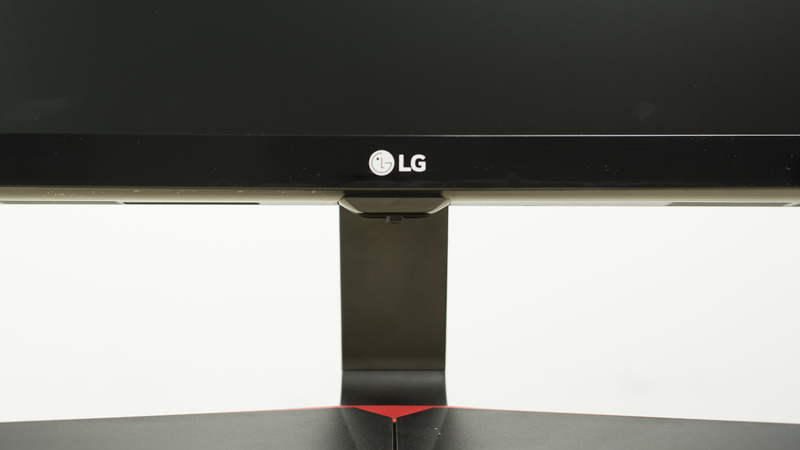 The LG 29UM69G is a decent ultrawide IPS gaming monitor with a higher-than-average 75Hz refresh rate. It has great motion handling due to the low response time and ability to flicker the image and clear up fast movement. It also feels responsive due to the low input lag. Unfortunately, the picture quality is below average due to the very poor black uniformity and below average screen brightness. The design of the LG ultrawide is good. 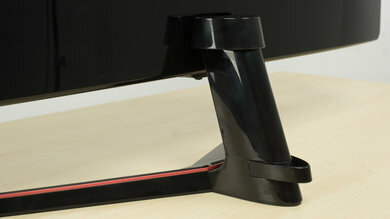 All of the parts are made of plastic but the monitor is quite stylish with defined edges and glossy plastic. The stand has a small footprint but supports the monitor quite well, although the light weight means the whole monitor moves when knocked. The back is glossy plastic which attracts fingerprints but looks good, and there is a small clip for cable management. The stand of the LG 29UM69G has a small footprint but still supports the monitor quite well. It looks quite stylish with the V-shape. 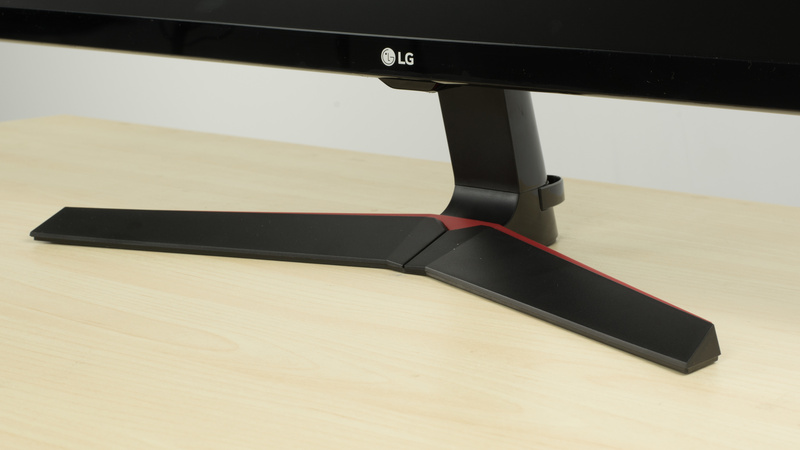 This LG monitor only has very limited adjustment options, so it may be more difficult to find a comfortable setup. 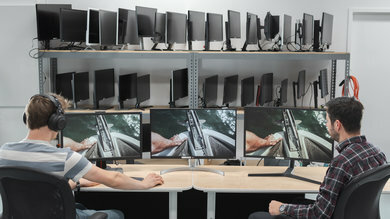 The monitor can only tilt backward. 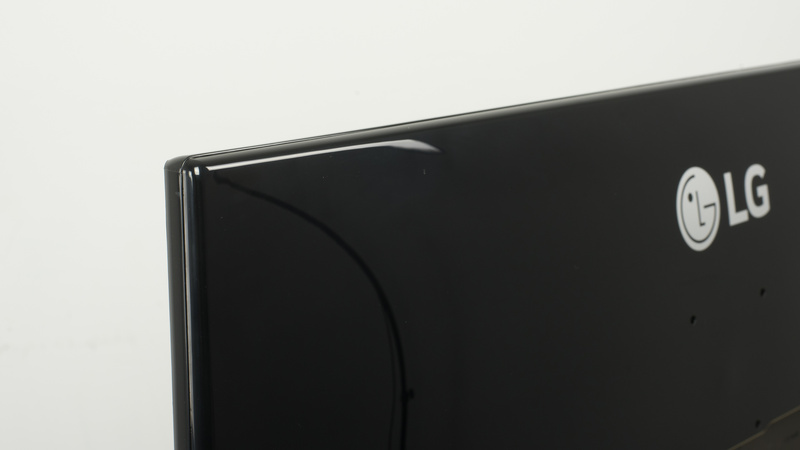 The rear of the monitor is glossy plastic and looks good, but does attract fingerprints. There is a clip for cable management visible here. The borders of the LG 29UM69G-B are quite thick. There is quite a large gap before the pixels begin, which is only really visible when the monitor is on as there is no distinct bezel. The monitor has an average thickness when viewed from the side. The build quality is fine. All of the parts are made of plastic and do feel a bit cheap, but this shouldn't be an issue for normal use. 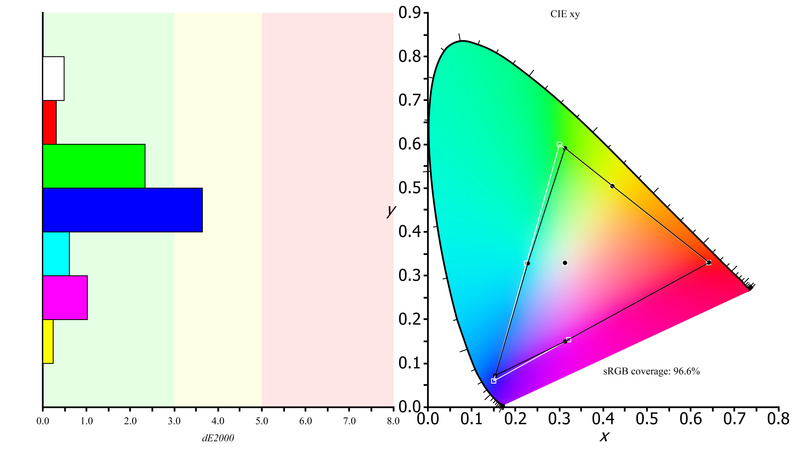 The picture quality of the LG 29UM69G is below average due to the low native contrast ratio so blacks appear gray in a dark room and are also very non-uniform. When set in a bright room, this isn't noticeable, so it isn't an issue for a bright office or living room. The monitor can't really get bright to combat glare, but the reflection handling is good. Out of the box, the colors are very accurate, and the viewing angle is good so the edges remain accurate when viewed from up close or for sharing images with friends. Unfortunately, this monitor doesn't support features to improve the picture quality further such as local dimming or HDR. 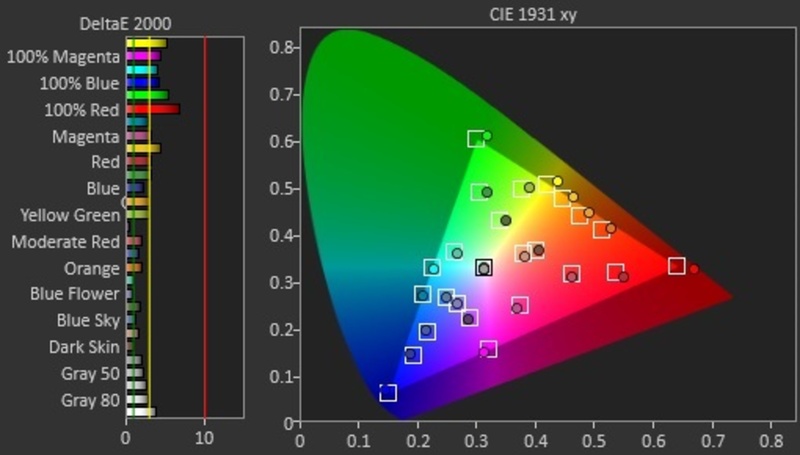 This LG monitor has a below average contrast ratio, which results in blacks that look more gray than really black when viewed in a dark environment. 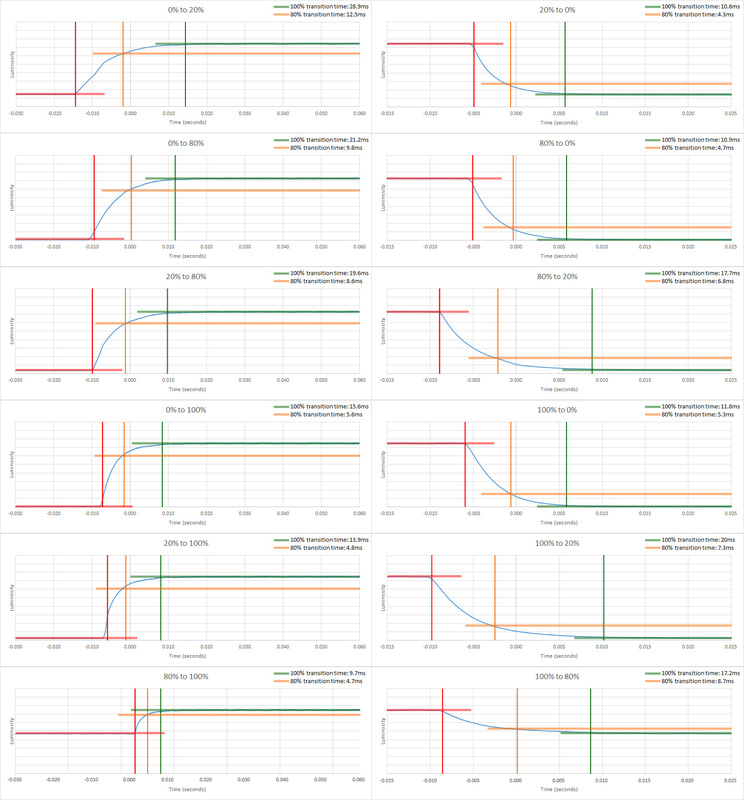 This is mostly normal for IPS monitor. 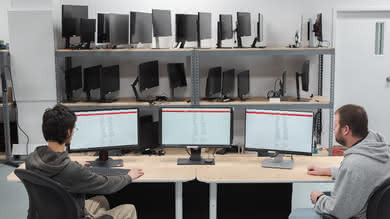 This is not a problem when viewed in an office setting, where there is abundant lighting. 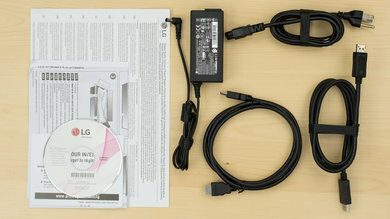 The LG 29UM69G-B does not have a local dimming feature. The video is for reference only. 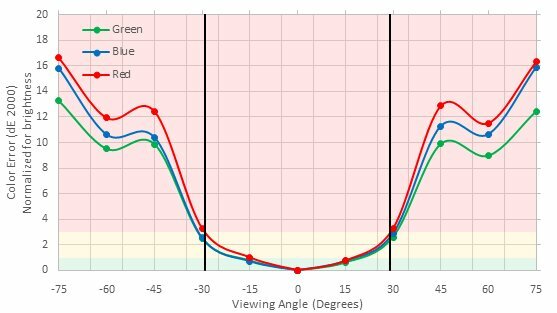 The LG ultrawide can get decently bright which should be good enough for most rooms, but it may appear a little dim in a very bright room. Good horizontal viewing angle. At an angle, the black level remains nearly perfect, while brightness decreases and colors degrade fairly gradually. Decent vertical viewing angle. The black level near the bottom of the screen will look a little grayer than at the top of the screen, while the brightness and colors at both the top and bottom of the screen will look a little worse than the center.  Great gray uniformity for this the LG 29UM69G, which is a similar result to the LG 27UD68P-B. This is great for watching content with large uniform areas, such as sports or when browsing the web. Both the right and left side of the screen look a bit darker than the center, but other than this the overall screen is pretty even. 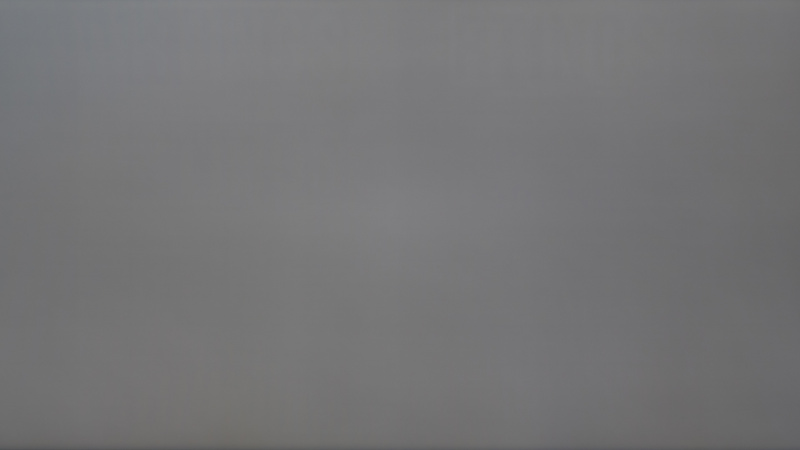 On the 5% gray uniformity test picture, not many issues can be noticed at all, which is a great result for watching dark content in a dark room, such as movies at night. Awful black uniformity for this LG monitor, which is bad for watching dark content in a dark room such as gaming at night. 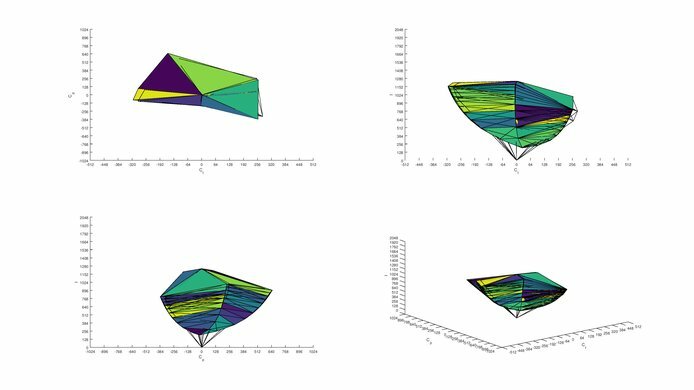 Flashlighting is the major issue here and affects the overall uniformity significantly, especially in the top left corner which can sometimes be noticed even in an average room. 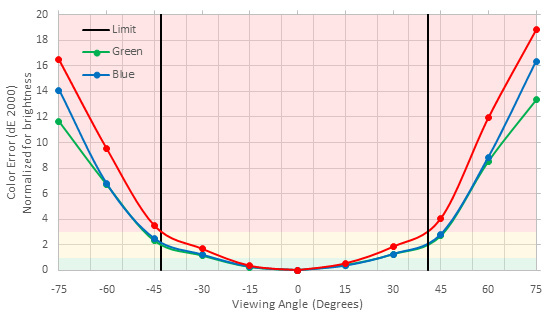 Out of the box, the LG 29UM69G has a very good accuracy. The white balance dE is relatively low at 2.11 and the color dE is at 2.93, both of which would be noticeable to professional. 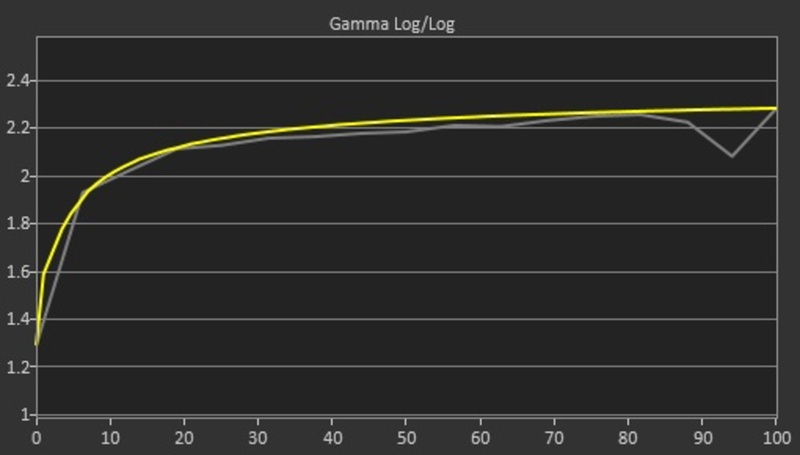 The gamma is at 2.15, which is a bit under what we aim for (2.4), but the curve is not far from our target curve. This monitor is very accurate and for most people that will not calibrate it, there is more than one 'Picture Mode' that are pretty accurate. 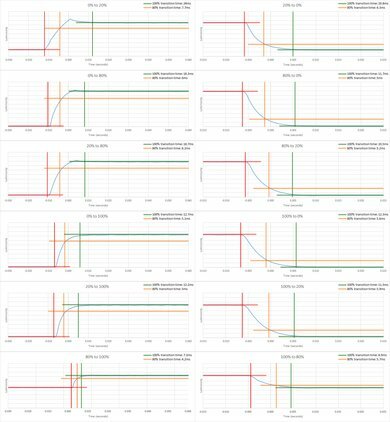 'Custom', 'Photo', 'FPS 1', 'RTS Game', and 'Custom Game' all have a similar accuracy, so you could try them and select the one that you find the best for your use. After calibration, the LG 29UM69G-B is even more accurate. 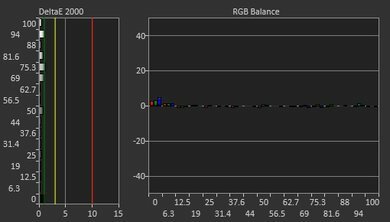 The white balance dE is now only 0.54, which is almost perfect. The color dE went down a bit at 1.85, but not as much as seen on other monitors, but with a color dE of 1.85, it is still pretty good. 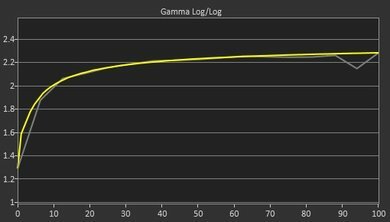 The gamma was corrected and now track a bit more closely our 2.4 target and the curve stick a bit more to our target curve. 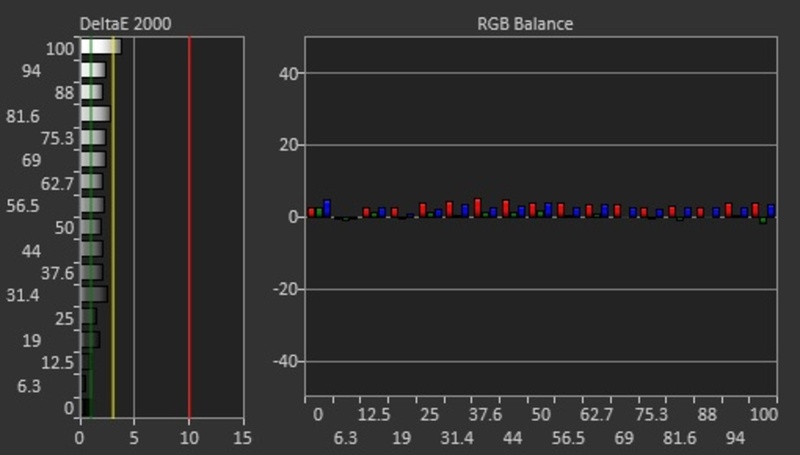 Very good coverage of the standard s.RGB colorspace, which is great for most uses. 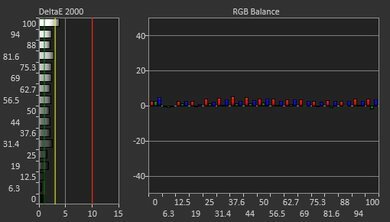 Unfortunately, its Adobe RGB colorsplace coverage is quite limited, making this monitor less useful for professional use. Excellent color volume. 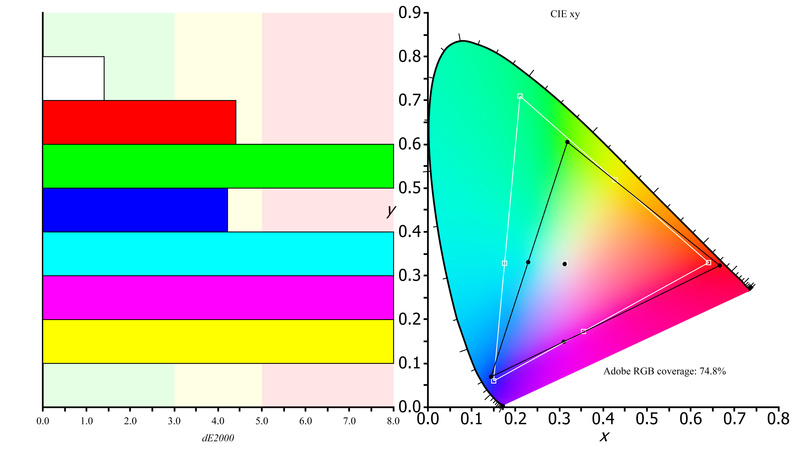 The LG 29UM69G monitor is able to display its great s.RGB coverage at a range of brightnesses, except at extremely low brightness because of the monitor's mediocre contrast ratio. 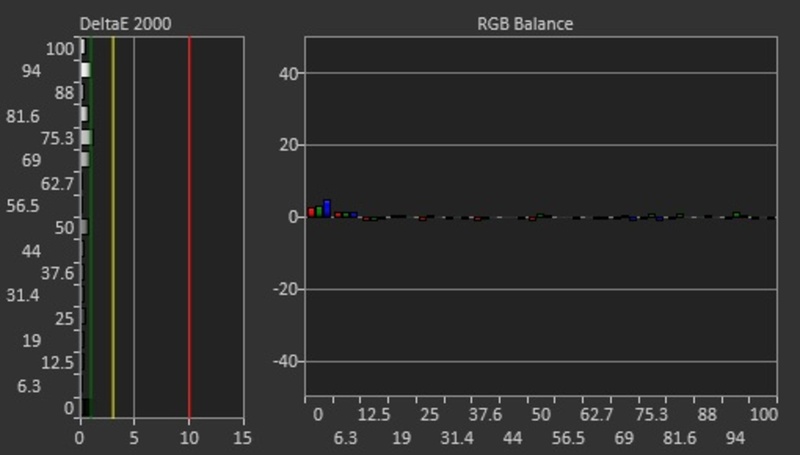 Its Adobe RGB volume suffers from its limited gamut coverage though. There is no image retention after displaying out 10-minute high contrast scene which is excellent. Great performance for the LG 29UM69G on our gradient test. 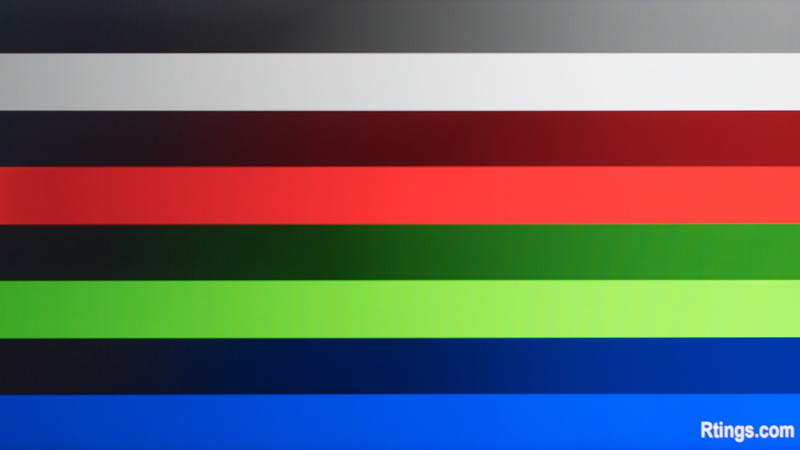 As this picture reveals, besides the 8-bit banding, some little shade issues can be noticed in the darker color, but those are very minor and don't really affect the performance of the monitor while displaying normal content. The color of the screen doesn't change when areas of uniform colors are present on the screen, which is great. The LG 29UM69G-B is good at handling reflections. It has a light matte coating which reduces the intensity of direct reflections, but also diffuses them across the screen. It is okay for an average lit room but may be an issue in a bright room. Motion looks great on the LG 29UM69G. It has a fast response time, is flicker-free, has a good 75 Hz refresh rate with FreeSync and has optional Black Frame Insertion (BFI) to reduce persistence blur. Unfortunately, the BFI is at 75 Hz and sometimes looks flickery, and the FreeSync range doesn't extend below 40 Hz like most FreeSync monitors. Great response time, good enough for fast-paced content such as playing first person shooters or watching sports. 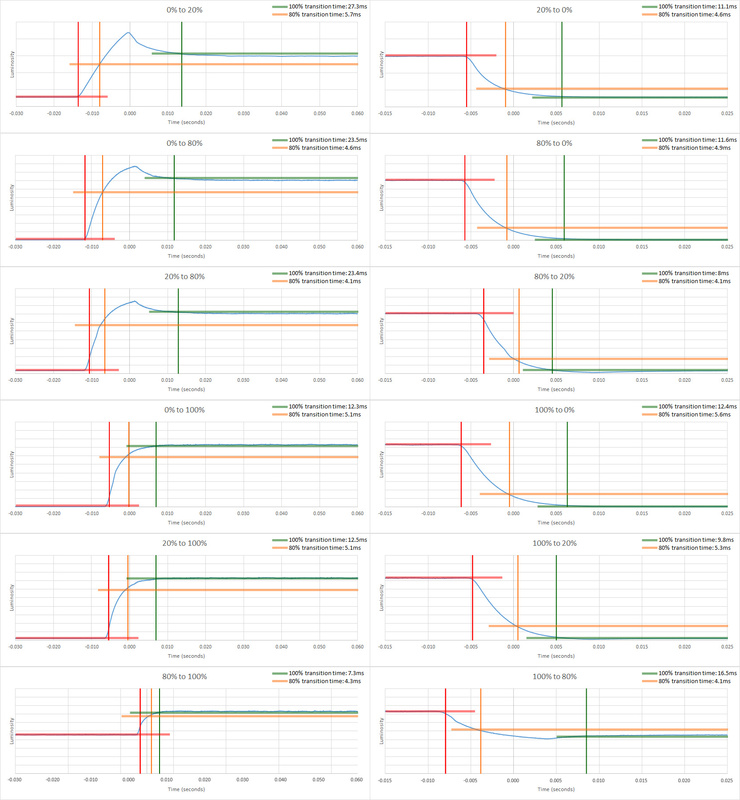 Pixel switching speed can be modified by changing the 'Response Time' (Overdrive) setting. 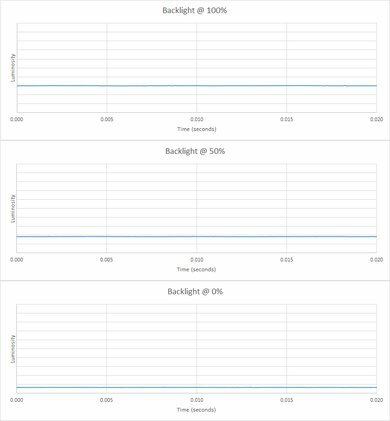 We recommend using the 'Normal' setting for fast response with minimal overshoot. Users who don't mind a little more overshoot ghosting may prefer the 'Fast' setting as its overshoot is still tolerable. 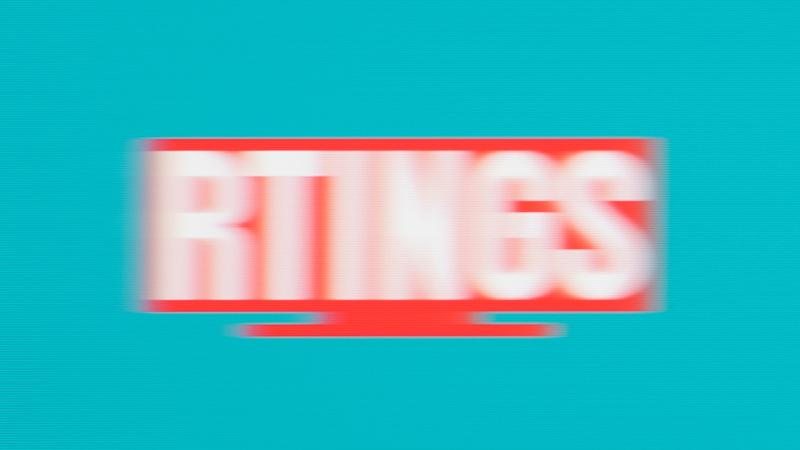 This will produce a faint inverse image following moving objects though. Like most monitors, the LG 29UM69G doesn't flicker and shows each image for a full frame. Without flicker, motion appears slightly smoother but persistence blur is more visible due to the static image during each frame. 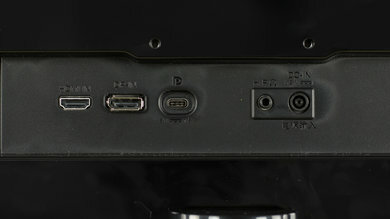 This monitor has an optional BFI setting (1ms Blur Reduction) that greatly reduces persistence blur by adding flicker. 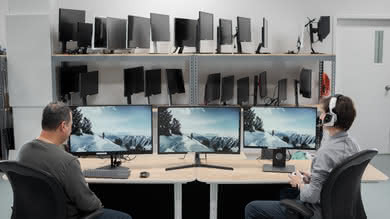 Unfortunately, because the flicker is at 75 Hz it is quite noticeable at the peripherals of your vision when viewing white windows, which may annoy some users. 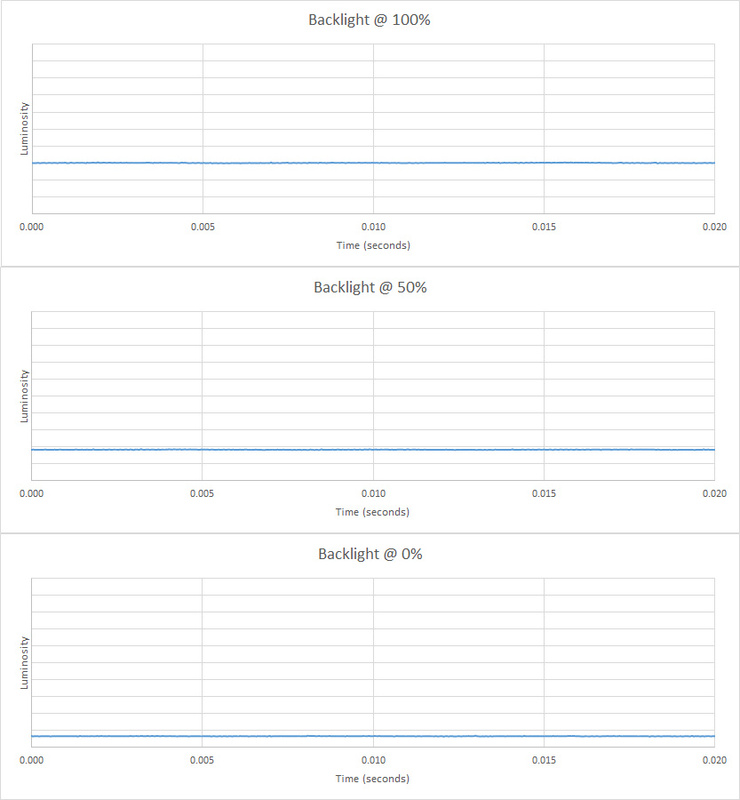 The monitor's brightness with BFI enabled is the same as its normal brightness, which is great because most monitors are dimmer with BFI. 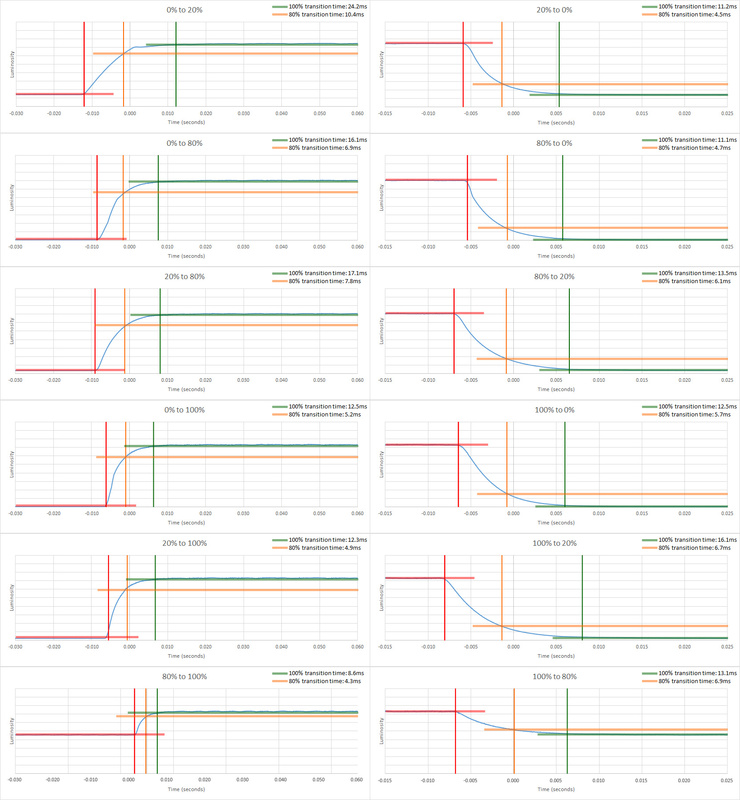 The LG 29UM69G-B has a good 75 Hz refresh rate, which is a bit better than the common 60 Hz refresh rate of most monitors but not as good as 144 Hz monitors. FreeSync on this monitor can adjust the screen's refresh rate to match the frame rate of a compatible graphics card, which allows playing graphically-intensive games with significant framerate drops without tearing or stuttering; however, the FreeSync range doesn't extend down below 40 Hz like many other FreeSync monitors. 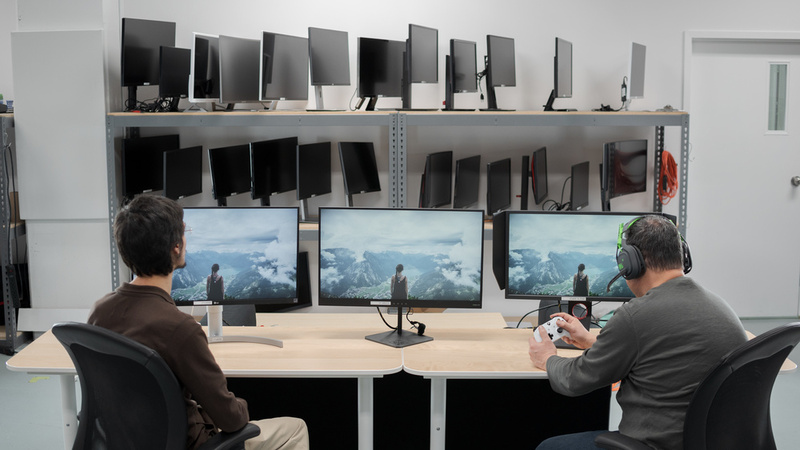 Update 01/15/2019: We have retested the monitor with NVIDIA's new FreeSync drivers. FreeSync had to be manually enabled in the monitor's OSD and in NVIDIA Control Panel, but it worked well, without any noticeable issues. 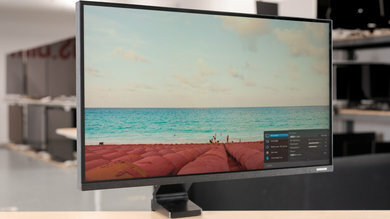 The LG 29UM69G-B has excellent low input lag, an immersive 21:9 aspect ratio and a decent 2560x1080 resolution, which make its size and pixel density better than most 1080p FHD monitors but not as good as the 27" 1440p monitors that are all-too-common nowadays. 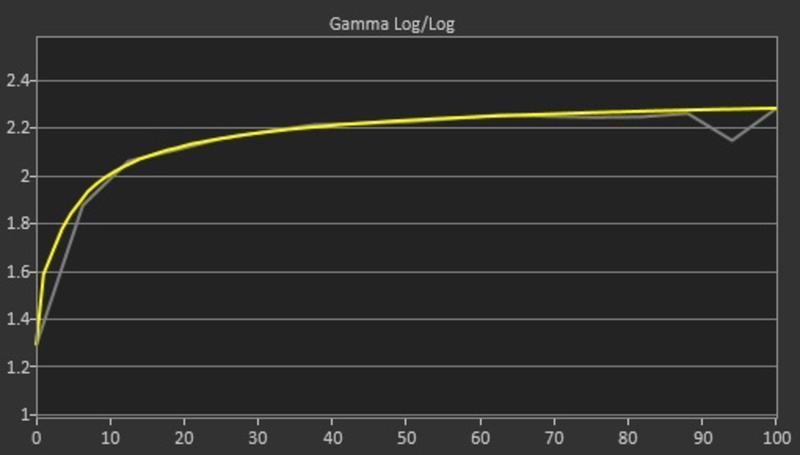 Excellent low input lag, partially due to the fast scan time of 75 Hz. The only non-native resolution that supports 75 Hz is 1920x1080, but it had the same low input lag which is great. 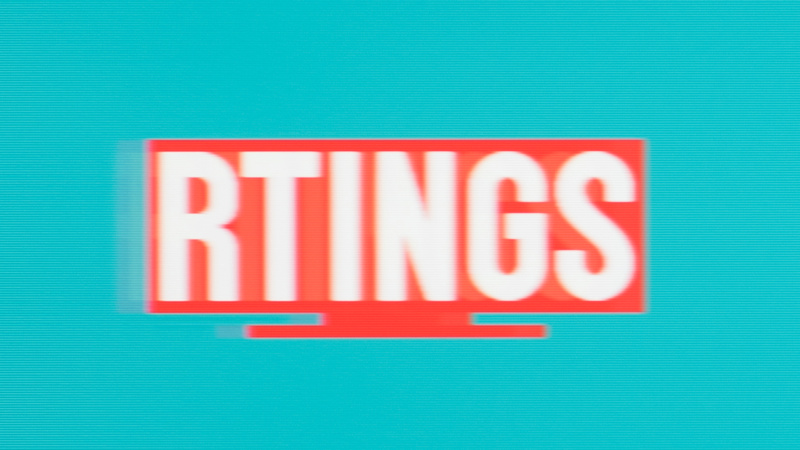 The input lag with BFI (1ms Blur Reduction) enabled is much higher but is still fairly low. The LG 29UM69G-B is an ultrawide monitor with a ~21:9 aspect ratio. Its native resolution is 1080 pixels high but 2560 pixels wide, which is very striking on first impression. 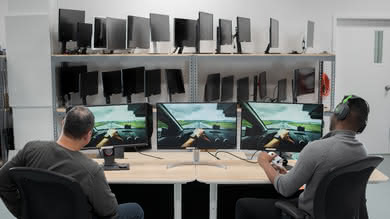 This makes it great for putting two windows side by side and for immersive gaming (see our recommendations for the best ultrawide gaming monitors). 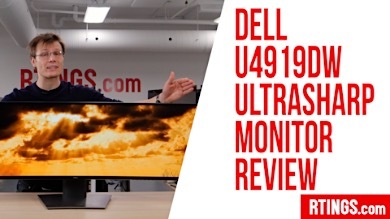 This resolution and size is better than most 1080p FHD monitors, but not as good as 27" 1440p monitors for most usage because this ultrawide isn't very tall (see our recommendations for the best ultrawide monitors). 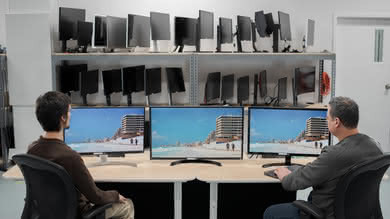 Unfortunately, the screen isn't as tall as many 16:9 aspect ratio monitors, but it's tall enough for general usage. 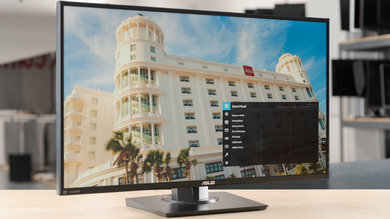 The LG 29UM69G supports a few additional features accessible through the control stick such as a 'Super Resolution' picture processing option, adjusting the response time, and an on-screen crosshair overlay. 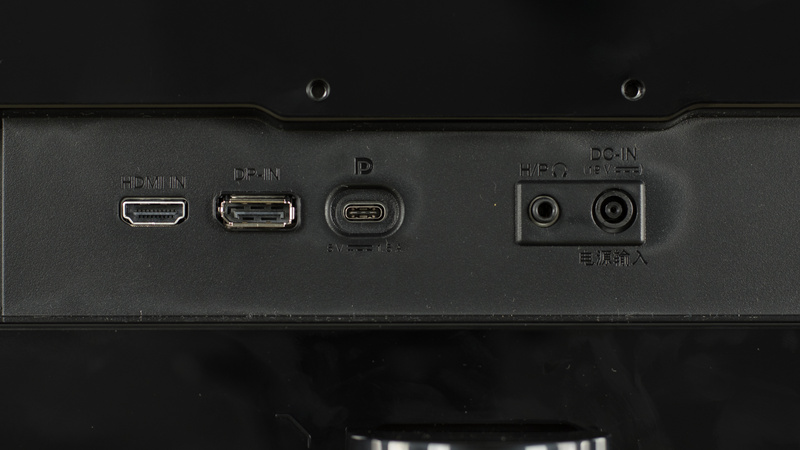 The OSD is quite intuitive, however, the single control stick isn't as easy to use as other monitors with separate buttons. 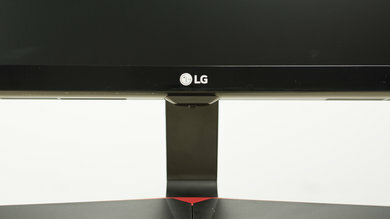 A single control stick is located under the LG logo at the front of the monitor. It is fine to use, however, not as easy as discrete buttons. 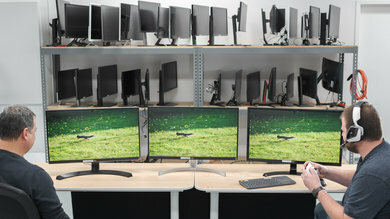 We tested the 29" model (29UM69G-B), however, the monitor is also available in a larger 34" size (34UM69G-B). If someone comes across a different type of panel or if their LG 29UM69G-B doesn't correspond to our review, let us know and we will update the review. Note that some tests such as the gray uniformity may vary between individual units. Left: Dell P2417H. 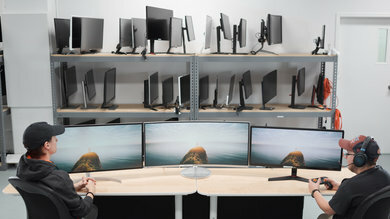 Middle: LG 29UM69G-B. 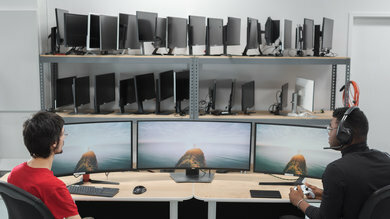 Right: HP V320. 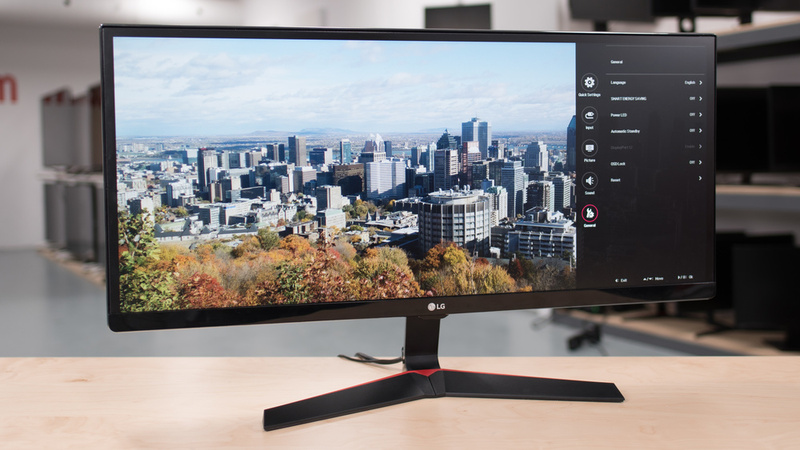 The LG 29UM69G is a decent ultrawide monitor and although it has good gaming performance with FreeSync, it is limited by the 75Hz refresh rate. 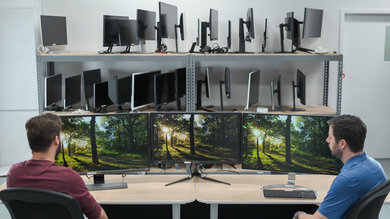 Depending on your budget and specific use, some of the monitors below may be a better choice. See our recommendations for the best 28-32 inch monitors and the best gaming monitors under $300. The LG 34UC79G-B is much better than the LG 29UM69G-B. 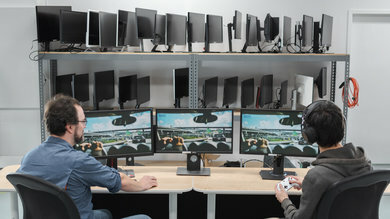 The 34UC79G-B has a larger screen area, and the native refresh rate is much higher, great for use as a gaming monitor. 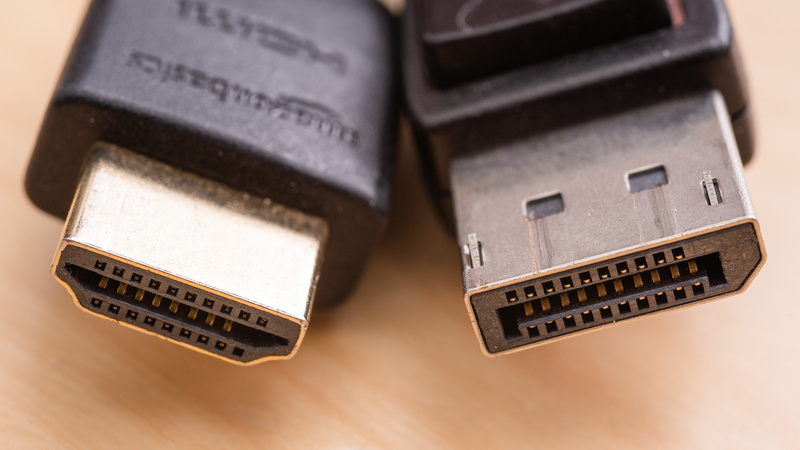 The 34UC79G-B also features two HDMI 2.0 ports, whereas the 29UM69G-B only has 1 HDMI 1.4 port. The Samsung CHG70 is a much better monitor for every usage than the LG 29UM69G-B. The LG 29UM69G has better viewing angles due to its IPS panel, so it keeps its picture quality when you look from the side. On the other hand, the Samsung CHG70 has better ergonomics, better native contrast ratio, and supports HDR. Finally, the Samsung CHG70 has slightly better input lag and features that make it better for gaming. The LG 24MP59G-P and LG 29UM69G-B are nearly identical, the 29UM69G is simply a wider version of the 24MP59G. 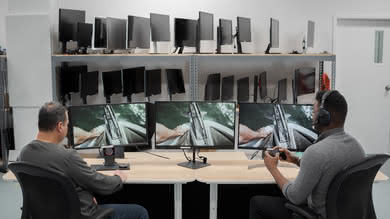 Both monitors have a 75 Hz refresh rate with FreeSync support. 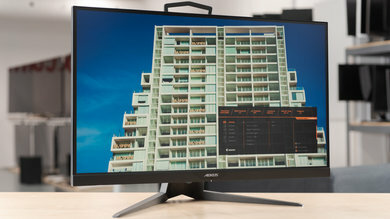 The 29UM69G has a faster response time, so fast motion looks better with less motion blur, and the wider screen is slightly better for multitasking. The BenQ EL2870U and LG 29UM69G-B use different panels, each with their own strengths and weaknesses. 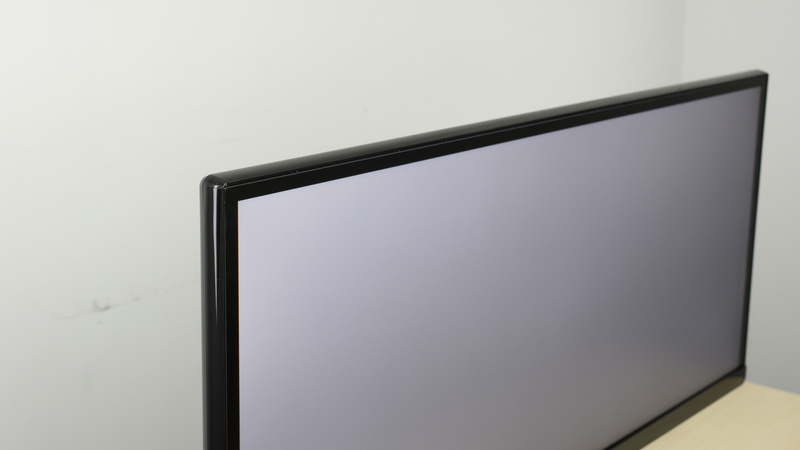 The 29UM69G-B uses an IPS panel, which delivers wider viewing angles, and it has a higher native refresh rate. The EL2870U has a TN panel, with a much higher resolution 4k screen that is better for multitasking, and it supports HDR, although this doesn't add much. 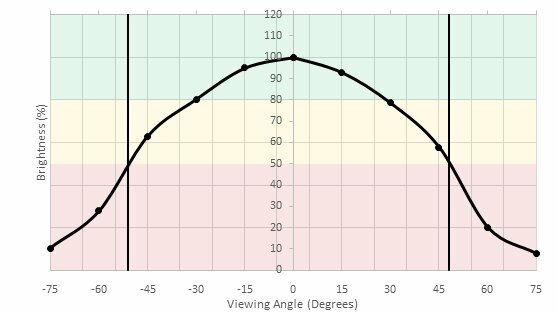 The LG 27UD58-B is better than the LG 29UM69G-B. The LG 27UD58-B has a 4K UHD resolution with more detail that makes it easier to multitask, like when you're creating media or watching multimedia while browsing the net. On the other hand, the LG 29UM69G-B has a slightly better refresh rate, a faster pixel response time, and supports black frame insertion (BFI) to clear up blur. 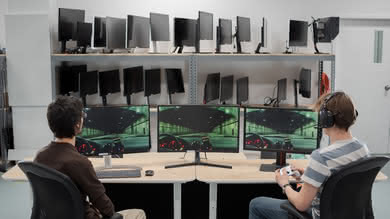 All these features are good news for those who plan to use it for video gaming. The LG 29UM69G-B is somewhat better than the Dell D3218HN. The LG 29UM69G-B has better reflection handling if you have a room with many lights, and has a better resolution that allows you to see more detail on the screen. If you play video games, you will appreciate the better refresh rate of the LG 29UM69G-B. The LG is also equipped with a BFI feature that allows it to introduce flicker and make the image crisper. The LG 29UM69G-B is somewhat better than the HP V320. The LG 29UM69G-B has marginally better reflection handling, so it is better if you place it in a room with many light sources. The LG also has a better refresh rate and better image flicker, and thus motion looks crisper. 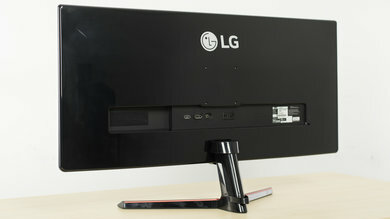 Finally, the LG 29UM69G-B has a higher resolution and will display more detail on the screen. 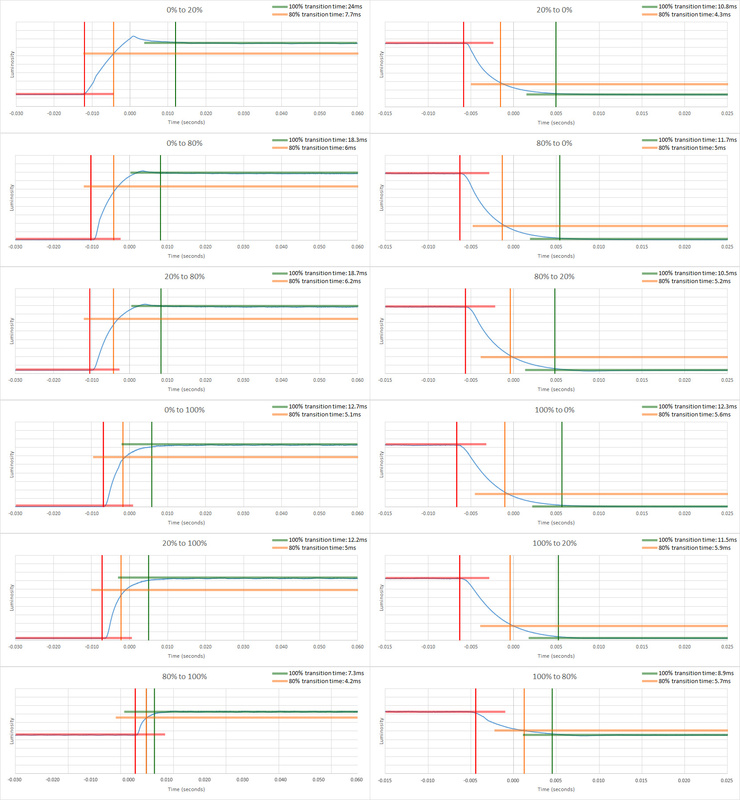 Decent monitor for a range of usages. 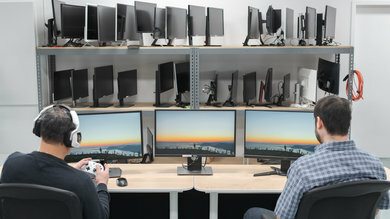 The ultrawide resolution is good for multitasking as two windows can fit comfortably side-by-side. 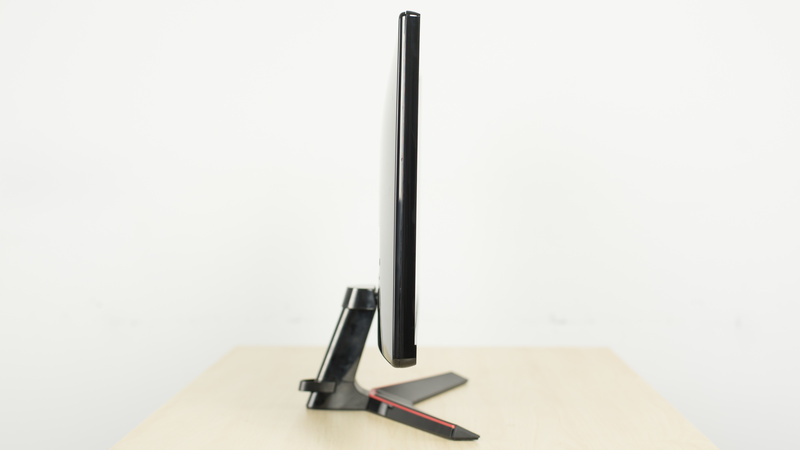 The 75Hz refresh rate combined with low input lag and great motion handling make the monitor very responsive. Unfortunately, the picture quality is below average, however, it is accurate out of the box and remains accurate when viewed at an angle. 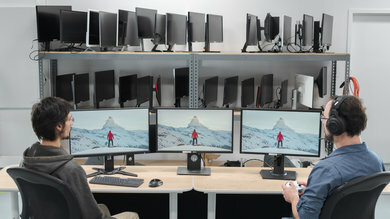 Average monitor for office use. 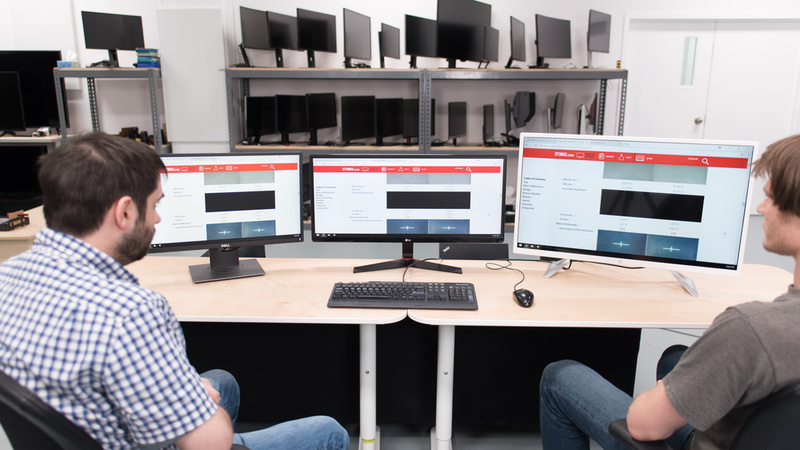 The ultrawide resolution allows displaying documents or webpages side-by-side and the monitor is accurate out of the box. Unfortunately, the LG 29UM69G can't get very bright to combat glare, but the screen finish is good at reducing reflections. The picture quality is also accurate, which is good, and remains accurate when viewed at an angle which is great for sharing images with coworkers. Good monitor for gaming. The LG 29UM69G-B feels responsive due to the low input lag and 75Hz refresh rate, which is good but not as good as other monitors at 120Hz or 144Hz. The motion handling is great but, unfortunately, the picture quality is below average and in a dark room, the black uniformity is very bad. 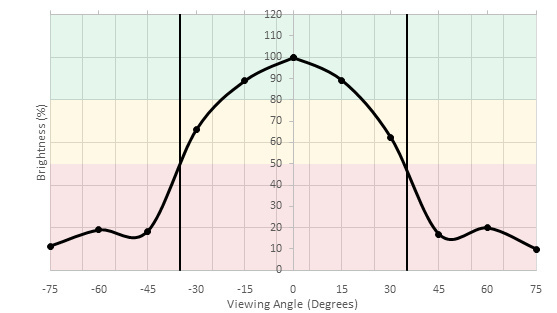 Below average for watching movies and TV shows. The picture quality is sub-par due to the low native contrast ratio and poor black uniformity, so blacks appear gray and blotchy. The colors are very accurate out of the box, which is good, and remain accurate when viewed at an angle. 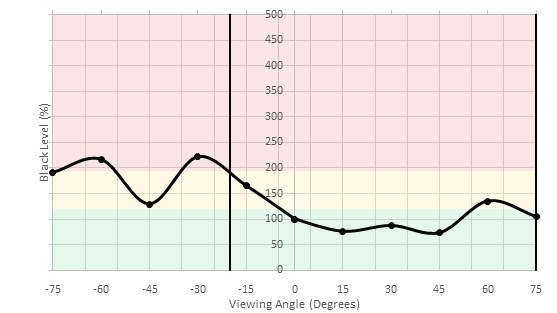 Below average for editing photos or videos. Unfortunately, the picture quality isn't as good as other monitors and the monitor can't get very bright to overcome glare. 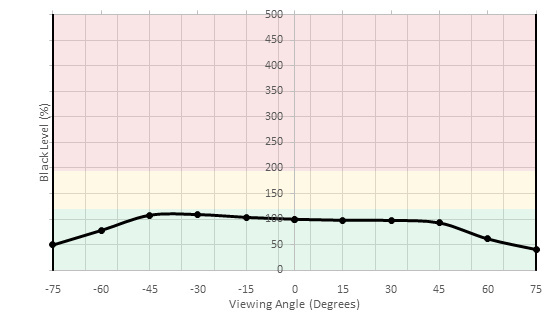 The image is very accurate out of the box though, and remains accurate when viewed at an angle. The motion handling is also great. The LG 29UM69G-B doesn't support HDR, local dimming or a wide color gamut. 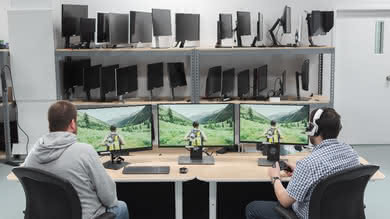 This is common for most monitors on the market at the moment. For a high-end monitor which supports HDR, see the Samsung CHG70.